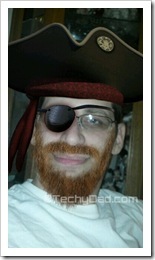 Aloha Friday: Arrrr You A Pirate Fan? My boys love all things pirates. This is partially (ok, mostly) fueled by Jake and the Never Land Pirates on Disney Junior. So we were very excited when we found out that there would be a Swashbuckler Soiree at the Disney Social Media Moms Celebration. 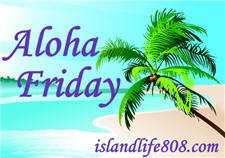 My Aloha Friday question for today is: Do you and your kids like pirates? 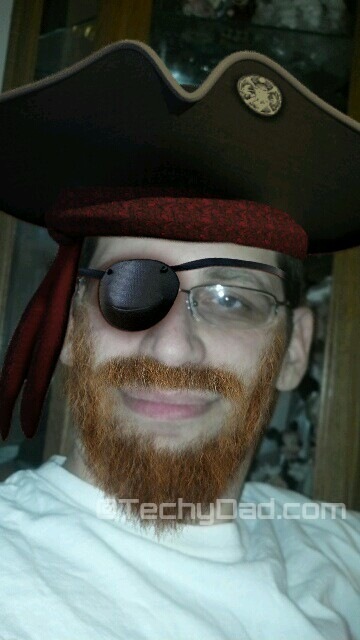 Yeah, I’m a pirate fan. Who’s your favorite pirate? Mine’s the ever famous Jack Sparrow, if there’s such an exiting character in real life. A. International Talk Like a Pirate Day isn’t one o’ those governmentally sanctioned holidays that shifts around to create a convenient three-day weekend. No, the date is ALWAYS Sept. 19 (Cap’n Slappy’s ex-wife’s birthday.) Now, occasionally Sept. 19 falls on a Sunday, and we recognize that may not meet everyone’s desire for an excuse to party. While a lot of fun can be had celebrating TLAPD in a church setting (The choir will now sing, “How Great Thou Aaarrrrt!”) we’re suggesting that those of a more secular bent consider celebrating Talk Like A Pirate Weekend.